+Weather Patterns: Fairly tame, but the equator is often plagued by violent monsoons and hurricanes. +Appearance (Water/land ratio, landmasses, etc. ): Covered in metallic brown oceans of ammonia. The land is desolate and black, except for large geothermal vents and lesions in the planets surface, which are surrounded not only by starkly black-colored vegetation, but also the deep red lights of cities. The poles glisten with blue-white ice. +Other: Has a total Jorexyn population of 7.91 billion. +Asteroid Belts: One located between Nirka and Haloxzyn. -Physical Appearance: The Jorexyn are large insectoid bipeds, standing at roughly 6 feet tall on average. They have four arms, a large upper pair and a smaller, less developed lower pair. Their upper arms end in hands with four digits, and are the Jorexyn's primary way of manipulating objects - they are also very strong. Their lower arms have six digits, and are extremely useful for tasks that require finesse and small, accurate movements, however their lower arms lack the significant muscular strength of their upper arms. They walk in a digitigrade stance. Their body is protected by a hard, metallic exoskeleton. The exoskeleton can come in a variety of different colors and patterns, and no two Jorexyn have the same color or patterning (the exoskeletons are formed from minerals dissolved in the ammonia they consume and need to live, and as a result, the exact coloring and patterns of the exoskeleton are dependent primarily on diet and intaking enough metallic nutrients). Their head is dominated by two large compound eyes, which enable them to see across much of the EM spectrum. They have a sharp crest emerging from between their eyes that curves backwards along their skull. From the back of their head grow numerous flexible tentacles, the length and number of which directly reflect a Jorexyn's psychic abilities. The tentacles are prehensile and can be used to grasp objects or life-forms (which are then able to be interacted with telepathically). -Elemental Base (Carbon, Silicon etc): Carbon-based. They use ammonia as an alternative to water and breathe via dehalorespiration of chlorine compounds. +History: The Jorexyn developed along the same lines as many other humanoid species, going from hunters to farmers, and from tribes to nation-states. In -34 AS the planet's first world war came to a close, resulting in the emergence of the Voxhyn State and the Republic of Detsyn as the worlds two super powers. Voxhyn was a fascist state with a charismatic, powerful leader. It's ideology was heavily based around racial purity, ancient religions and the occult, and the concept of a master race. This put it at odds with the Republic, which shone as the single brightest beacon of liberty on Seczyn. A great cold war began between the two powers, which lasts this day. 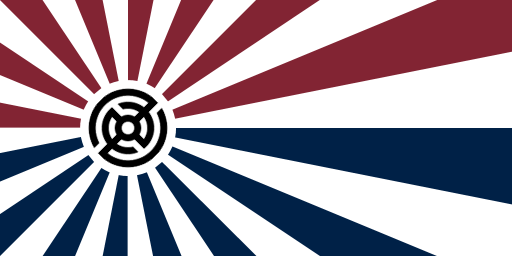 However, Detsyn's power has waned, and Voxhyn has been enriched by the Seczyn Stellar Initiative, giving it a significant advantage over the Republic, which pulled out of the Initiative in 75 AS after rebellious colonials were massacred on Rhzyn by Voxhyn-led forces of the Interplanetary Treaty Corps. The Rhzyn Crisis began as Detsyn units of the ITC attempted to pull out amid riots among the civilian population. The two powers came the closest to war in their history after Detsyn ITC soldiers opened fire on a Voxhyn squad, alledgedly confusing them for geurillas - though Detsyn citizens like to believe they acted in defense of civilians. Tensions were calmed thanks to skilled diplomacy, but Seczyn was within a razors edge of nuclear war. Within twenty years, the Republic began to see the first signs of resource shortages on Seczyn. The SSI held a near monopoly on interplanetary mining, and charged a steep price for materials. Non-SSI space programs, and even small asteroid mining operations, did exist, but they were limited as the Initiative hoarded, and refused to share, all advanced space travel technology. It is even alleged by some conspiracy theorists that the Initiative actively sabotaged the space programs of independent nations. What few programs well-funded and well-backed enough to reach interplanetary resource deposits found that the SSI had already claimed and taken the most valuable, and they were left to pick up the scraps. As a result, Detsyn and non-SSI nations struggled to keep parity militarily and technologically with the Voxhyn and the SSI. Detsyn lost their military advantage as the need to feed their people and provide them with amenities took priority. Many say that the Voxhyn State won the cold war for this reason, but the Republic is far from a non-contender. Currently, things are in a state of detente, as trade begins to flow between the SSI and the independent countries and Detsyn begins to recover from the economic crisis with renewed space travel efforts in cooperation with the SSI. -Government System: Supranational organization. Head of Government is the Designate, who is elected by simple majority in the Presidium, a council of 104 members. Members of the Presidium are divided into representatives from member nations in the SSI, and representatives of SSI colonies. The remaining Presidium members are appointed by the Designate, and serve until death or until special circumstances warrant their removal (in practice, this is primarily used to remove political enemies). The Designate rules until their death or impeachment by supermajority (80% of votes) in the Preisidum. +History: Formed in 58 AS ("After Space") by the International Treatise on Space Exploration and Colonization, the Seczyn Stellar Initiative is a supranational organization technically controlled by all of the member nations on Seczyn, but in practice is essentially entirely controlled by the Voxhyn State, the world's dominant (and some would argue only) superpower. Many nations on Seczyn refused to sign the treaty, or redacted their signatures at a later date, due to the atrocities and crimes committed by the Voxhyn State. Initially, control of the SSI was far more balanced, but as opposing nations relinquished their seats on the Presidium the control the Voxhyn and their allies (some would say puppets) increased. The Initiative made its first strides in interplanetary colonization in 67 AS, with the launch of a mission to colonize Rhzyn, which would touch down in time for the SSI's 10th anniversary. This marked the beginning of a new era in Jorexyn history, and a new chapter in the Initiative's rise to power. From Rhzyn, missions were able to be launched into the asteroid belt, and the Initiative quickly established mining bases (the first of which was established in 72 AS) to extract valuable minerals. These rare and valuable minerals soon enriched the Initiative's coffers. Colonization of the rest of the Hoxhzyn system began by 79 AS. The first breakthrough in interstellar travel came in 92 AS, with the discovery of hyperdrive. The Initiative quickly began exploring surrounding systems, eventually establishing numerous colonies, the first of which was formally established in 103 AS. Its expansion since has been relatively uneventful, other than the dissappointment among scientists and the military that no intelligent alien life has been encountered as of 156 AS. The Presidium would prefer the absence of alien life and the threat it poses, while the military would welcome its discovery and the increase to their budget that would come with it. Sheets look fine so far but you need to submit a tech listing for final acceptance. The rules for this selection process are on the tree's page, but if you have further questions, feel free to ask. Oh, whoops, forgot about that. I will link my ship sheets in this thread when I have them finished.